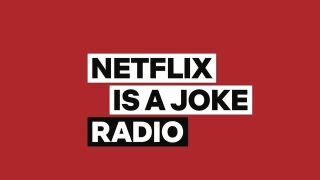 Netflix has announced it will be launching a new comedy radio station called Netflix Is A Joke Radio on April 15 in conjunction with US radio streaming platform SiriusXM. Not only is it the first time Netflix has taken to the airwaves, but it's also the first time the streaming company has "worked in unison with another major subscription media company to create a new outlet for their content", according to a press release sent out by SiriusXM. As SiriusXM only provides its services in the US, Canada, and Puerto Rico, the new station will likely be limited to these regions. The radio streaming service says that the new station will feature "highlights from the top Netflix talent", including Adam Sandler, Bill Burr, Chris Rock, Dave Chappelle, Ellen DeGeneres, Jerry Seinfeld, Ricky Gervais, Sarah Silverman, Trevor Noah, and Wanda Sykes. As well as broadcasting highlights from Netflix's existing comedy shows, the new station will also debut "segments from future stand-up specials" so listeners will have the chance to hear new material before it lands on Netflix. SiriusXM says that Netflix Is A Joke Radio also plans to launch an "original daily show, featuring celebrity guests and comedians discussing pop culture and hot topics of the day". To listen to the new station, you'll need to get a subscription to SiriusXM; a Premier Streaming package costs $15.99 (around £12 / AU$22) per month, and allows you to listen online, in the app, or on your Amazon Echo speaker, Sonos speaker, Google Chromecast, Apple TV, PlayStation 4, or Roku Streaming Stick.